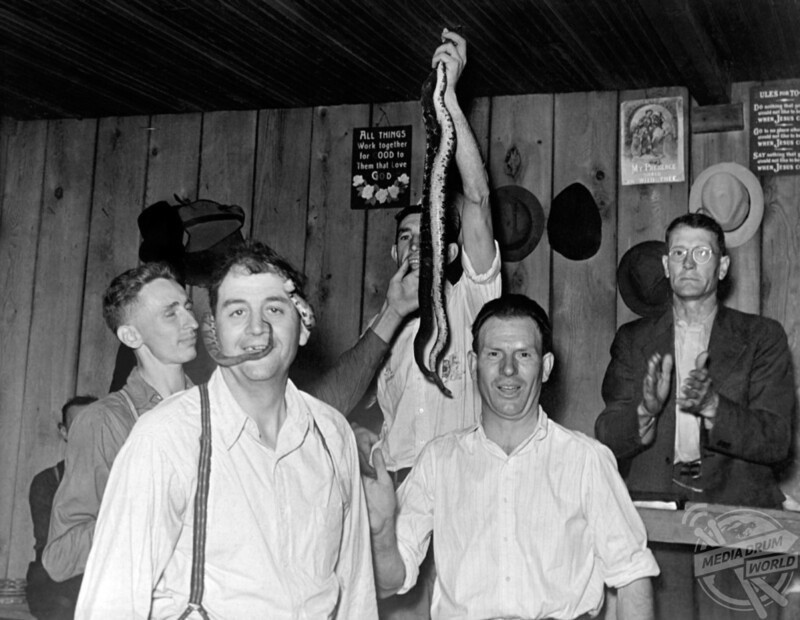 INCREDIBLE images have revealed the snake handling rituals of one Christian church in the United States in 1948. Stunning pictures show a man holding snakes on his head at the Church of God, Pine Mountain, USA, a man showing a snake to a child and men with their hands and arms held over fire. 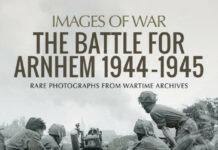 Other striking shots show a group holding snakes, another group praying and rejoicing and men and women dancing. 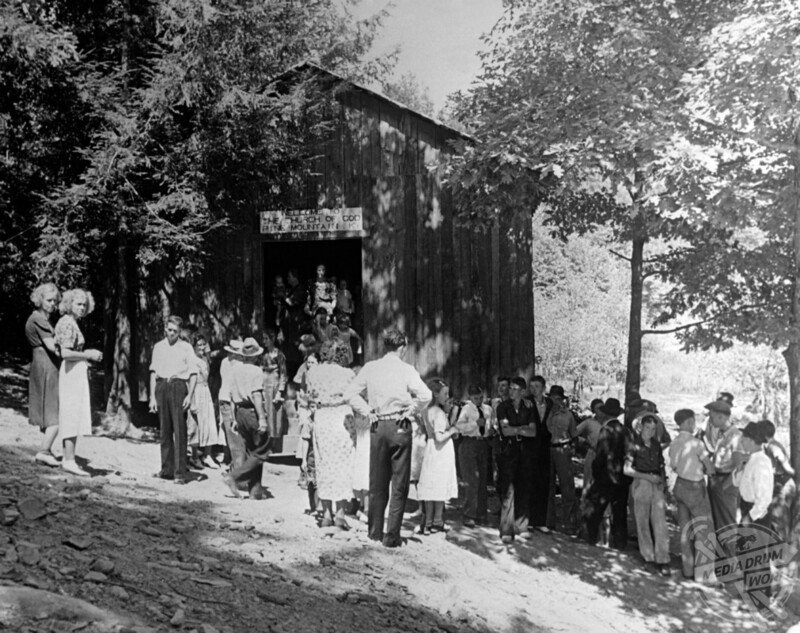 Congregation waiting outside of church. 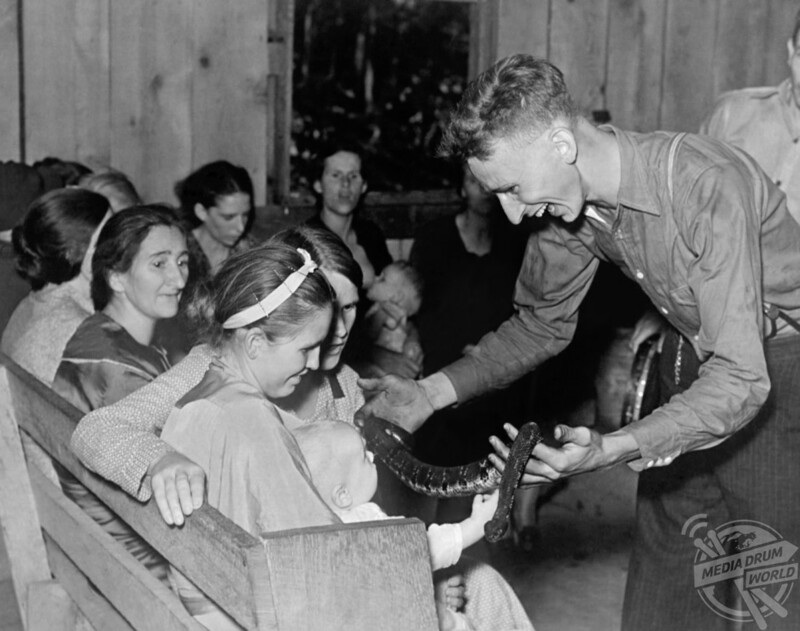 Snake handling as a religious right in the United States is observed in a small number of isolated churches. 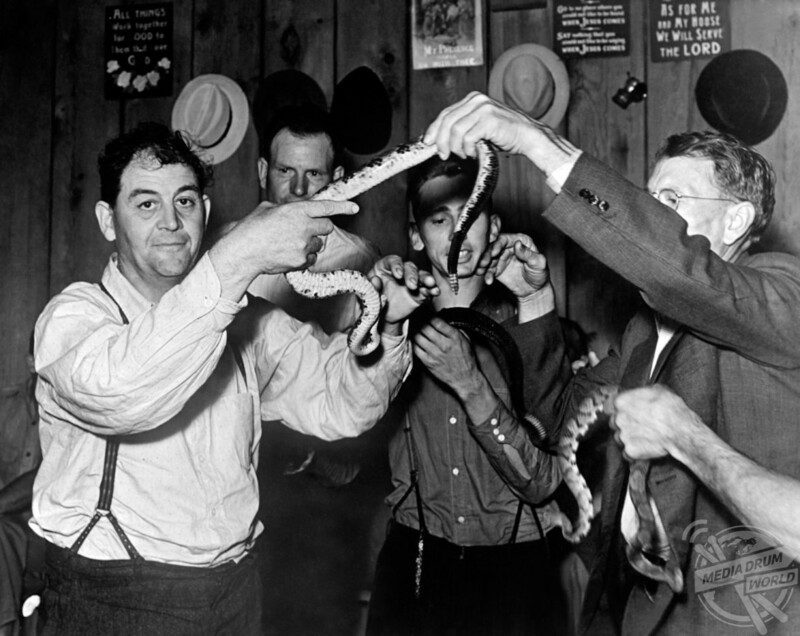 Group of men holding snakes. 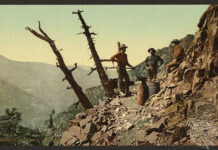 The practice began in the early 20th century in Appalachia and plays only a small part in the church service. 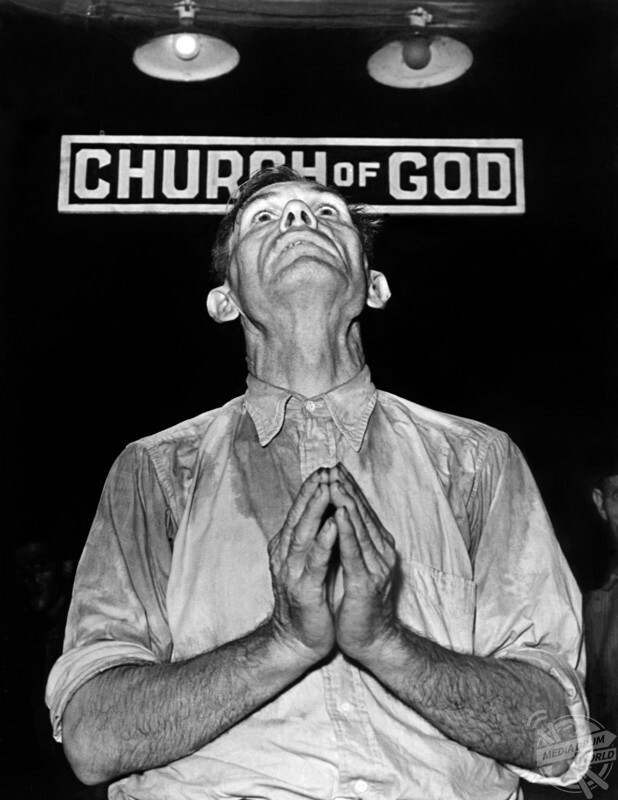 Participants are Holiness, Pentecostals, Charismatics, or other evangelicals. 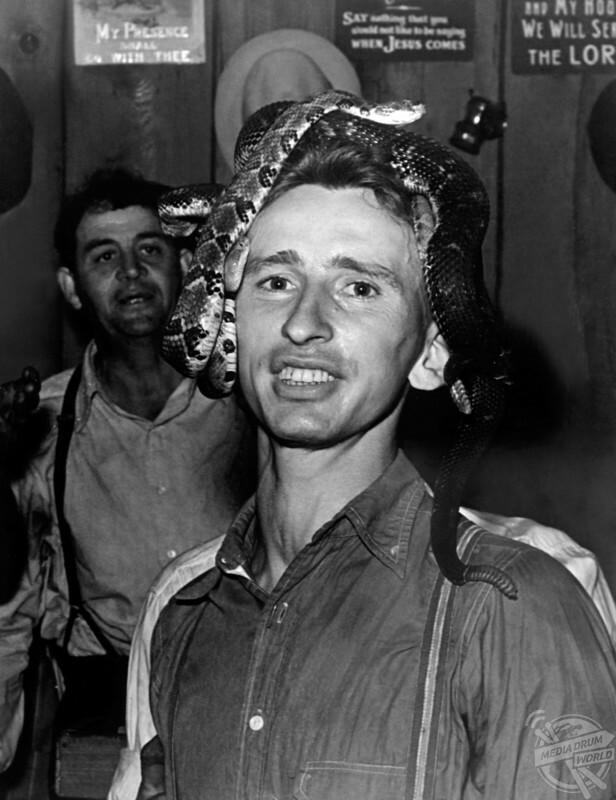 Man holding snakes on his head. 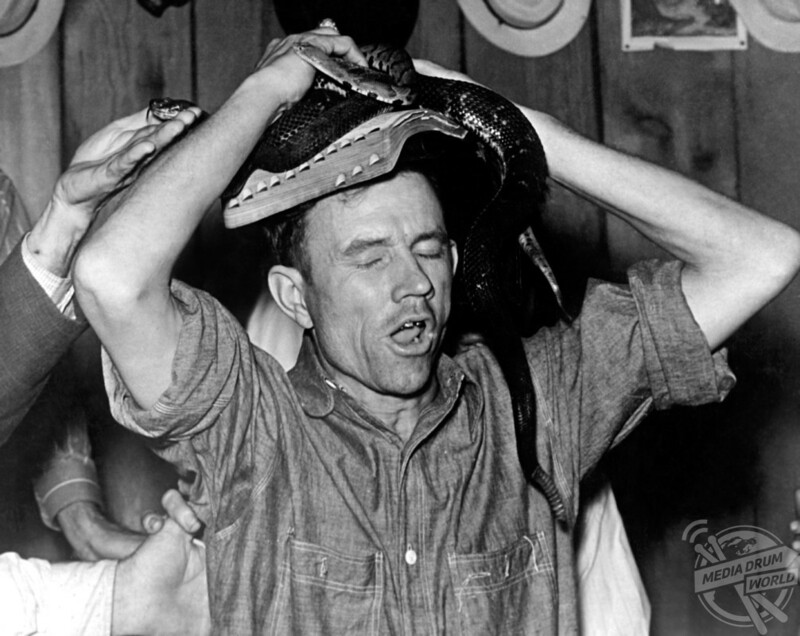 Many writers have attempted to designate George Went Hensley (1880–1955) as both the progenitor and popularizer of Appalachian religious snake handling, but his role in initiating the practice has been disputed by academic studies. Man showing snake to child. 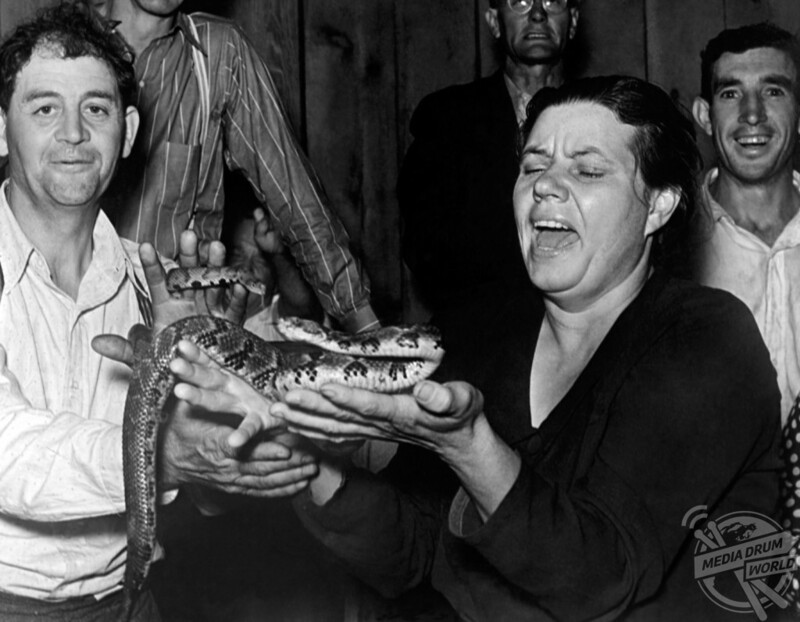 George Went Hensley is often credited with introducing snake handling practices into the Church of God Holiness, an association of autonomous Christian Methodist congregations, founding the Dolly Pond Church of God in Birchwood, Tennessee, around 1910. 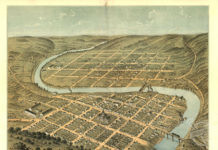 He later travelled the Southeast promoting the practice, eventually resigning his ministry to start the first holiness movement church to require snake handling as evidence of salvation. 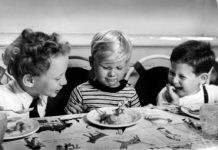 If believers truly had the Holy Spirit within them, Hensley argued, they should be able to handle rattlesnakes and any number of other venomous serpents. They should also be able to drink poison and suffer no harm whatsoever. 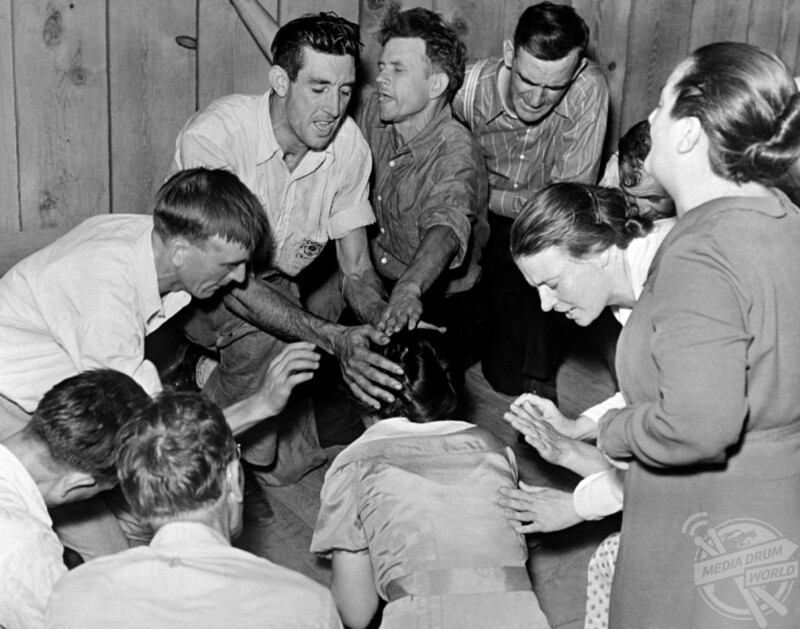 Rattlesnake Religion – believed to be in the Church of God , Pine Mountain , U.S.A 1948. 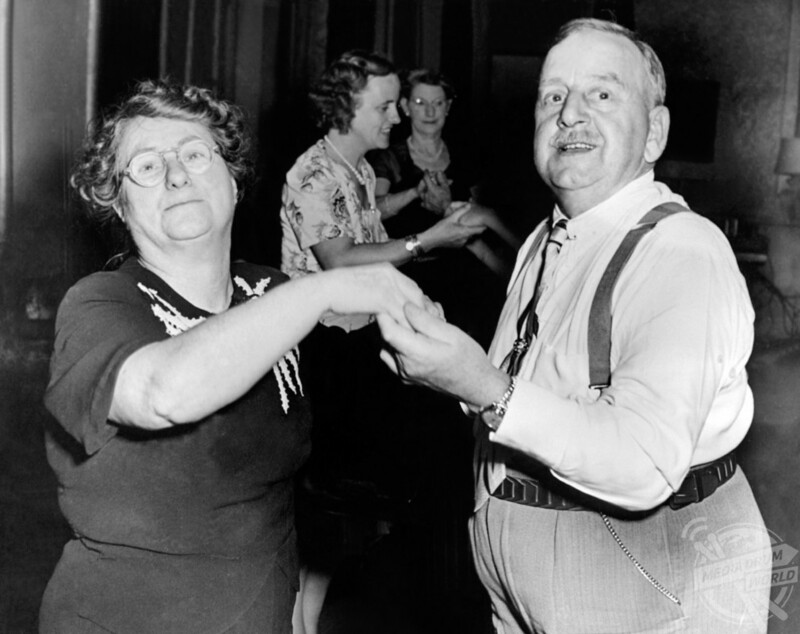 Man and woman dancing. 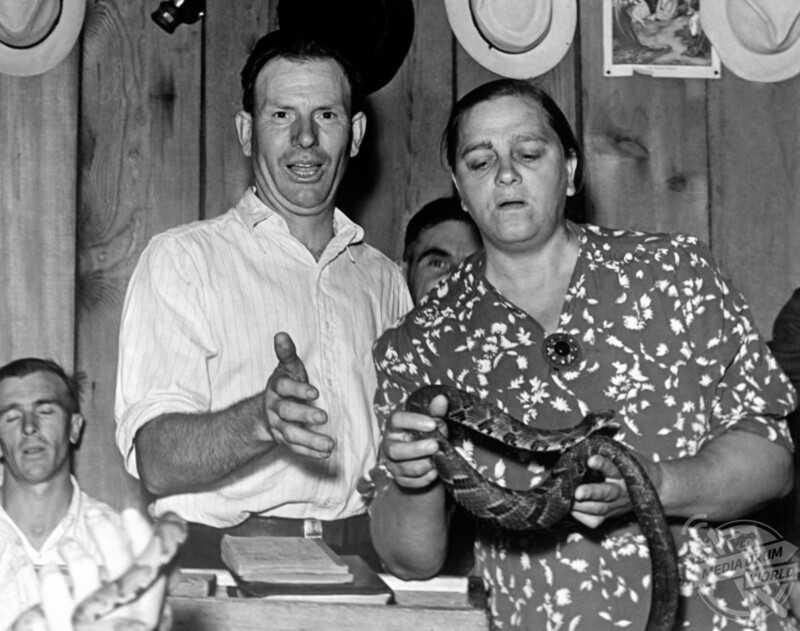 Snake handling as a test or demonstration of faith became popular wherever Hensley travelled and preached in the small towns of Tennessee, Kentucky, the Carolinas, Virginia, Ohio, and Indiana. 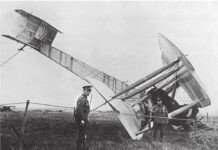 In July 1955, Hensley died following a snakebite received during a service he was conducting in Altha, Florida.